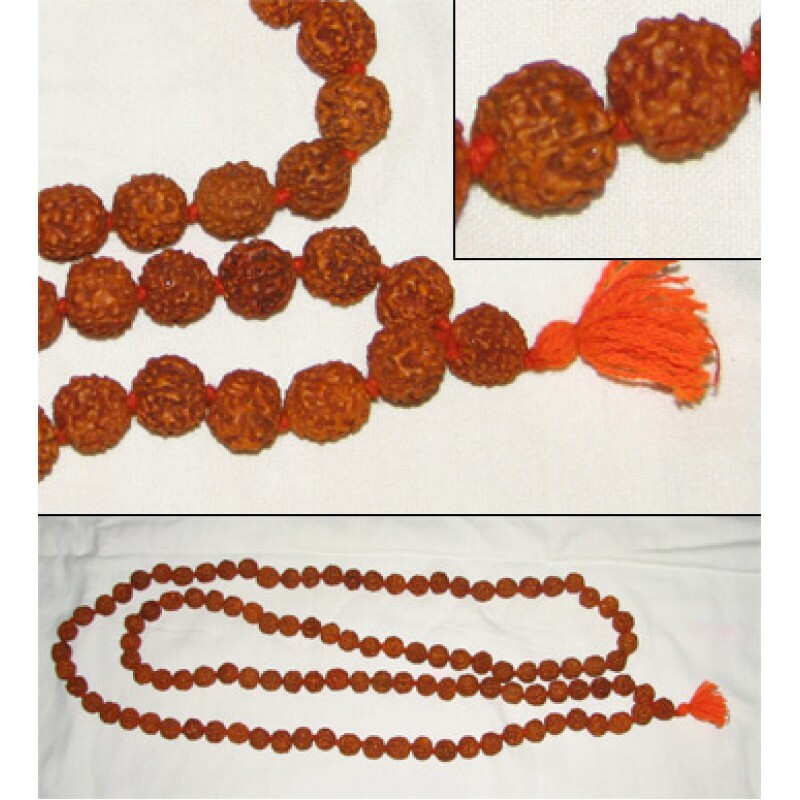 Pure rudraksha mala, 54 inches in length (with large rough beads, each bead is approximately 1/2 inch in size). Total there are 108 beads in the mala (this mala may be used either for japa or for wearing on the neck). If you are looking for higher quality, finer beads, you should purchase the 33 inch mala instead, as this is a rough mala.